Fireworks! kicked off its third semester with Meadow Hill Elementary School in Newburgh NY, on Wednesday, 6 February. Lesson 4 focused building healthy relationships, why they are important, and how to navigate both good and bad relationships. Bringing the largest team from USMA to date, the Fireworks! 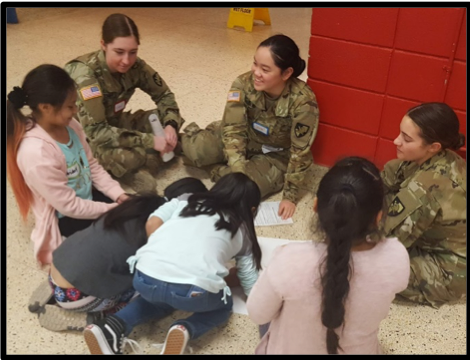 crew led a group of eager 4th and 5th grade girls through an interactive icebreaker, a fully-scaffolded lesson, and a closing craft. 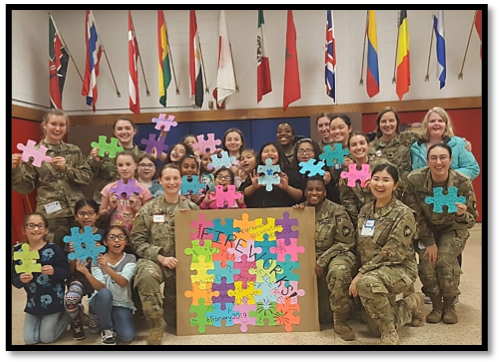 The icebreaker activity encouraged the girls to use critical thinking and communication skills as they solved a multi-colored puzzle with pieces that were all the same size. The puzzle would serve as a symbol throughout the lesson of how relationships with others are like puzzle pieces, fitting together to make one large picture. 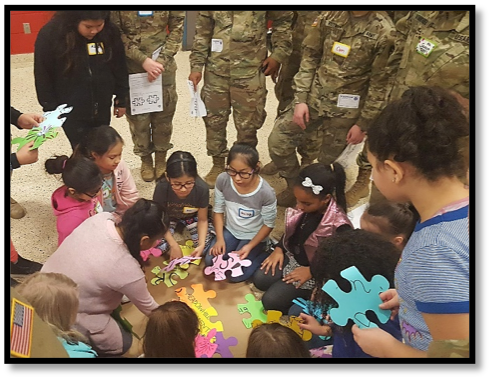 Upon completion, teams of cadet facilitators led groups of 3-4 girls through a comprehensive lesson on relationship building. The discussions opened up great dialog about what relationships the girls’ have, what makes some of them better than others, and how to nurture the good, while working through the bad. 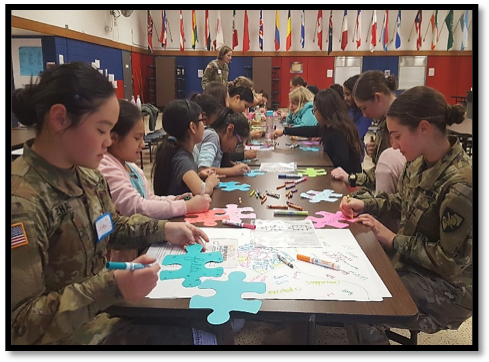 The lesson finished off with a take home craft, where the girls decorated puzzle pieces, writing the names of those they have relationships with on it. Fireworks! returns to MHS for lesson 5 later this month. TEACHERS: Are you and your students doing something great? Please contact your Communication Strategist. We’d love to attend or post your pictures and recap to highlight the amazing accomplishments throughout our district! Grades PreK-5 Amanda McDowell (amcdowell@necsd.net) and Grades 6-12 Cassie Sklarz (csklarz@necsd.net).